No, those photos were not taken in Algeria in the 1950s. They were snatched by me earlier this year during nightime location shooting for the feature film La Baie d’Alger (The Bay of Algiers), with the beach at Le Racou in French Catalonia standing in for North Africa. 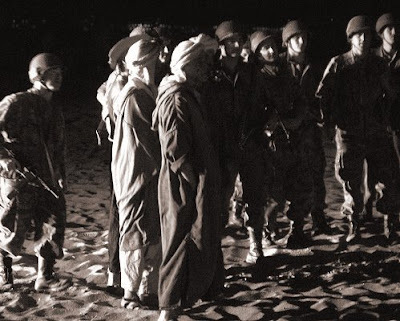 La Baie d’Alger is based on the eponymous Prix Méditerranée winning novel by Algerian born Louis Gardel which is set in 1955 during the early part of the Algerian war of independence. 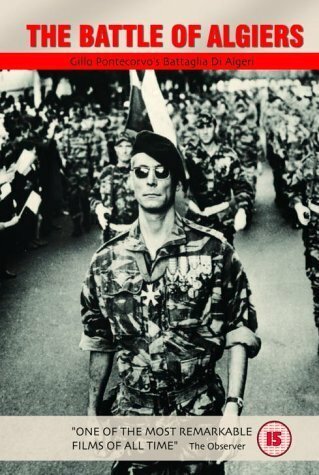 This bloody conflict between the French military and the the Algerian Front de Libération Nationale (FLN) ended on July 5th 1962 when the country was granted independence. 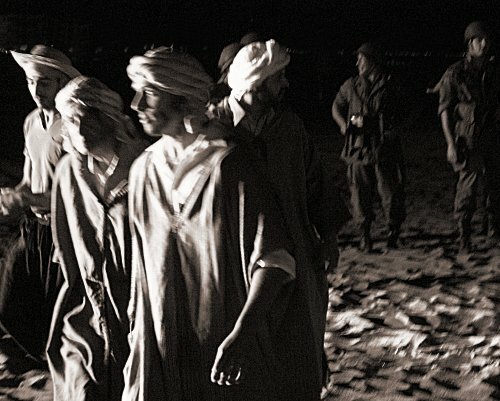 The cinematic release of La Baie d’Alger is just one of many events taking place next year to mark the fiftieth anniversary of Algerian independence. This anniversary will attract global interest because the independence struggle resonates with the Arab Spring which has profoundly changed neighbouring Tunisia while leaving Algeria in the grip of a political bleak midwinter. 'How to win a battle against terrorism and lose the war of ideas. Children shoot soldiers at point-blank range. Women plant bombs in cafes. Soon the entire Arab population builds to a mad fervor. Sound familiar? The French have a plan. It succeeds tactically, but fails strategically. To understand why, come to a rare showing of this film. Algeria has rich hydrocarbon resources and is a major exporter of both oil and natural gas. But despite or possibly because of this political conflict continues. From 1992 to 2002 a civil war raged, the current president Abdelaziz Bouteflika is the nominee of the army and the country's human rights record remains a major cause for concern. Which explains why news stories about Algeria are dominated by politics and why much of Algeria's contemporary culture is created by exiles living in France. Although Algeria is considered to be an Arab country almost all Algerians are Berber, not Arab, in origin. But today only around 15% of Algerians identify themselves as Berber; most of these live in the mountainous region of Kabylie east of Algiers where Berber groups demanding autonomy have met with a violent response from government security forces. There is more on the Berber minority in North Africa in my July 2011 post. The photo below is of the Algerian Berber singer Houria Aïchi whose recording of the sacred chants of Algeria is available as a download. Algeria is an Islamic state; 99% of Algerians are Sunni Muslims and the country is noted for its religious militancy with intolerance of other religious faiths repeatedly being cited by human rights organisations. The Berbers mix animistic cults with more orthodox Islam and historically Algeria has been a stronghold of Sufism and other esoteric sects, but these have declined because militant Islamists consider mysticism to be a heresy. However the government has recently started to encourage Sufism in an attempt to counter the rise of extremism by encouraging the more tolerant strains of Islam. Music has played an important role during more than five decades of political unrest. Raï, which translates as 'opinion', is the best known genre of Algerian protest music; attempts to proscribe it have led to many prominent raï musicians leaving for France, which in turn has led to the globalisation of the genre. 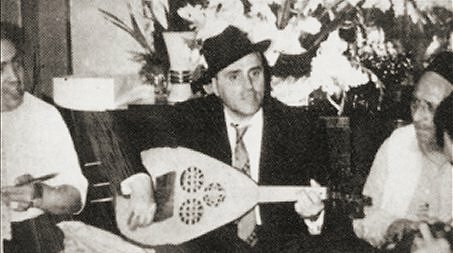 Arab-Andalusian music is another important genre and a post in 2010 told the story of malouf musician Enrico Macias who went into exile in 1961 after his father-in-law, the acclaimed Algerian Jewish musician Cheikh Raymond Leyris who is seen below, was assassinated by the Front de Libération Nationale. Western classical music has some surprising Algerian connections. A recent post told of Bartók's visit to Algeria in 1913 during which he collected tunes which were later incorporated into his Second Quartet, while five years earlier the free-thinking Gustav Holst had also been in Algeria. After Holst had completed the first of his Sanskrit period operas Sita (see footnote) he was in poor health. 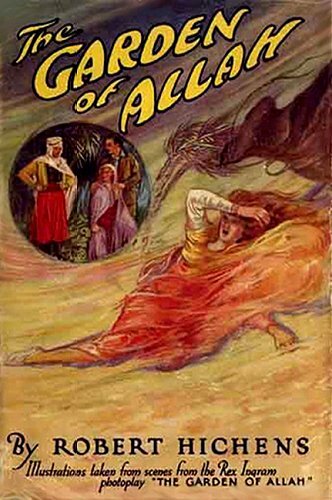 He travelled to Algiers in 1908, ostensibly for health reasons and with financial assistance from Ralph Vaughan Williams, and his four week visit to Algeria and Tunisia included a journey south to the Algerian Sahara. Holst, who disliked the dogma of established religions and was attracted to mysticism, was inspired by his visit to write two notable works that have never emerged from the shadow of The Planets; his one act chamber opera Savitri (1908) completes his Sanskrit period while Beni Mora (1909-10) is his first mature orchestral work. Beni Mora, which incorporates a motif the composer heard played on a bamboo flute in an Algeria casbah, is usually lauded as an early flowering of world music. But there are other viewpoints. Holst titled the movement in which the flute motif is heard 'In the street of Ouled Naïls', a reference to the Ouled Naïls ethnic group in Algeria, a tribe who are famous for their belly dancing. This has prompted one commentator to suggest that exploitative and voyeuristic motives lay behind Holst's visit. Imperialistic sub-agendas have also been detected - Beni Mora is in fact a town in Algeria, but the title of the work is thought to come from an episode in Robert Hitchen's distinctly Edwardian novel The Garden of Allah. All of which should not be allowed to detract from an important and little known work from the pen of someone still quite wrongly viewed as a 'one work composer'. Other writers have served Algeria better. Paul Bowles' breakthrough novel The Sheltering Sky was inspired by his travels in the Algerian Sahara while Nobel literature prize winner Albert Camus was born in Algeria to a pied-noir French settler family. The plot of Camus' best known novel The Outsider revolves around cultural and moral conflict in pre-war of independence Algeria and his humanitarian position in the war still causes controversy. Algeria still has many links with its former imperial master and after returning from my recent visit to France I was surprised to find myself expanding the 'Algeria' section in my CD collection to accomodate the numerous additions. Which is a good reason for exploring some chance Algerian paths in more detail during the autumn. Meanwhile there is more on Holst the spiritual and musical maverick in A vintage year for blasphemy and heresy. * The Wagner indebted Interlude from Act III of Holst's opera Sita has been recorded but has there ever been a recording of the complete opera? 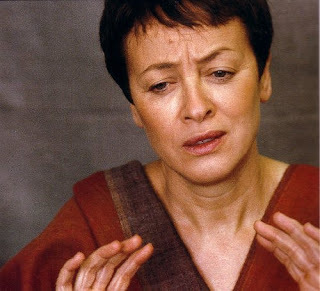 Sita has an opus number but the Holst's daughter Imogen, who was a major influence on Holst schlarship, placed little importance on the early work. Is a score available and if so is it time for a re-assessment? Interesting that my Facebook link to this post immediately triggered a visit from Facebook, Inc at IP address 66.220.149.245. A friend who knows a lot more about these things than me says Facebook is a known CIA-watched site. His view is the post, which is rich in words with terrorist connotations and also mentions the CIA and the Pentagon, triggered a code-word bot and it's been catalogued for a later human visit if it comes up again.